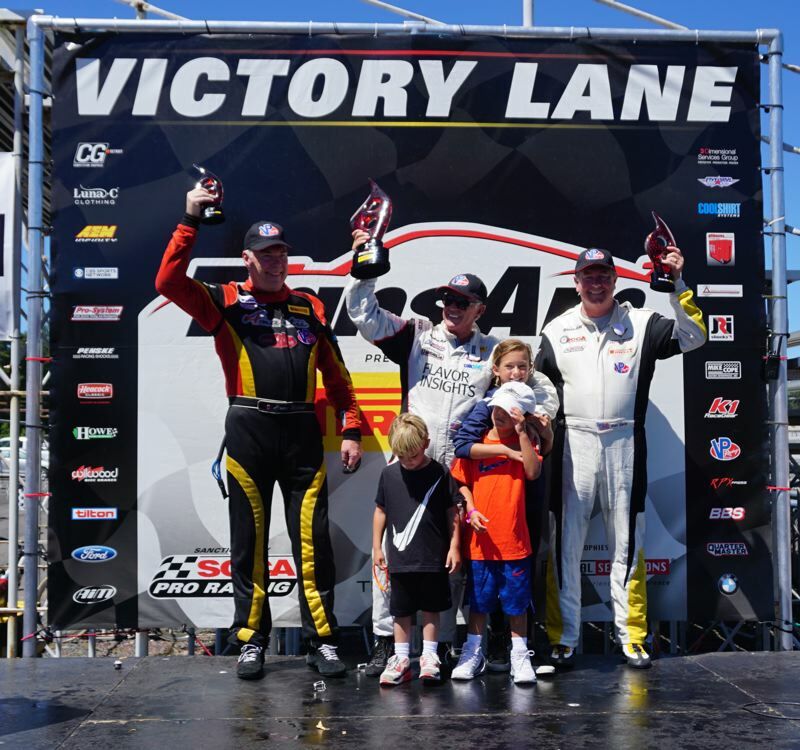 Veteran Trans-Am Racer Greg Pickett of Crystal Bay, Nevada drove his Pickett Racing Ford Mustang to a solid victory in Sunday's Trans-Am West series race at Portland International Raceway. The Trans-Am series raced as part of the Portland Vintage Racing Festival event organized by the Sportscar Vintage Racing Association (SVRA). The victory was significant for Pickett because it represented his first Trans-Am win in his fifth decade of racing. Pickett's career stretches back to 1977, and he has won at least one Trans-Am race in five decades. "We're going to try to keep doing this," Pickett said. "This west coast championship is four races, which will be decided at the final race at Circuit of the Americas in Texas this November." The runner-up in the Trans-Am race was Ken Davis of Escondido, California, driving the Davis Stone Motorsports Chevrolet Corvette. Local racer Brian Richards of Victoria, B.C. came in third, driving the Canned Heat Chevrolet Camaro he used to win the Rose Cup race at PIR earlier this month. 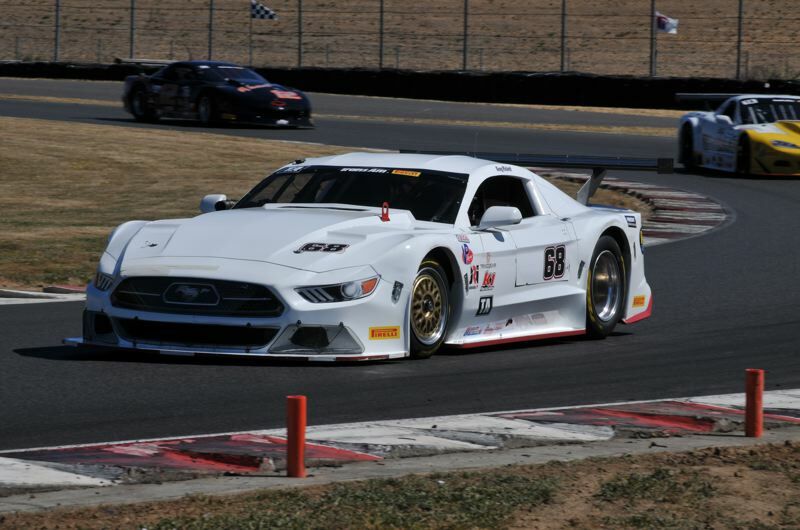 "This was my first Trans-Am race since 1994," Richards said. "It's great to be back with this series." Portland was an annual stop for the Trans-Am series from 1975-95. From 1975-83, the Rose Cup race was a Trans-Am event. Beginning in 1984, Trans-Am became a support race for the annual Champ Car race at PIR. The last Trans-Am race to be run in Portland was the Rose Cup race in 2009, when Tomy Drissi won the roses. "I love racing in Portland," Pickett said. "The people are super friendly, this track is wonderful, and I just like coming here to race." The weekend also included a full schedule of vintage racing featuring local drivers in sports cars and sedans more than 25 years old. It was also the venue for a new vintage race featuring the first generation of Mazda's Miata sports car. The Miata was introduced in 1990, and the oldest models are now eligible for vintage racing. For complete information and event results from this weekend, see www.svra.com. The next racing weekend at PIR is Aug. 11-13, when the Sports Car Club of America will hold a triple regional racing event.